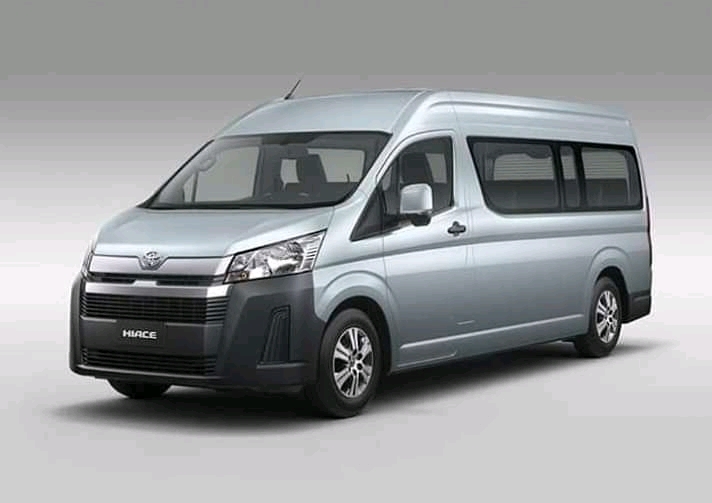 Photos of the 2019 Toyota Hiace have surfaced online. Images of the vehicle show the popular hauler sporting a new front end as well as altered dimensions. If recent leaks and reports online are anything to go by, the all-new might be in the market sooner than previously anticipated. It looks like drivers will no longer be sitting on top of the engine, which has been moved forward, doing away with the nameplate’s signature flat-nosed design. Yes, there’s a hood now . The vehicle’s height has been reduced from 1,980mm to 1,965mm, but its length (4,695mm to 4,790mm) and wheelbase (2,570mm to 2,985mm) have increased drastically. The dashboard also carries a more modern look, with a relatively sportier steering-wheel design and a boxier, more angular appearance. It’s an updated design, but no drastic changes have been made in terms of the layout. Again, the leaked photos appear to be of the commuter variant—hence the generous 13-seat configuration. Unfortunately, there are no official power train details yet. 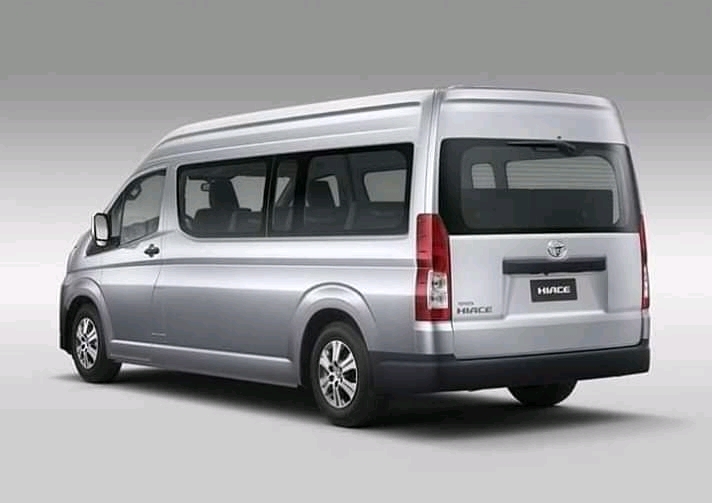 It remains to be seen how the new design will impact on sales in comparison to the Nissan’s flat nosed design of the Caravan series.